French producer of helmets for motorcycling 2 Ride Holding (2RH) acquired Italian competitor Nolan (see here a previous post by BeBeez). Private equity firms Eurazeo PME and Naxicap Partners own 2RH that after such an acquisition will have a turnover in the region of 150 million euros. Fineurop Soditic and DLA Piper provided financial and legal advisory to 2RH, while UBS and Law Firm NCTM assisted Nolan whose chairman and ceo are Alberto Vergani and Enzo Panacci. Bahrein private equity Investcorp hired Lazard for handling the sale of Dainese, a producer of clothes for motorcycling (see here a previous post by BeBeez). 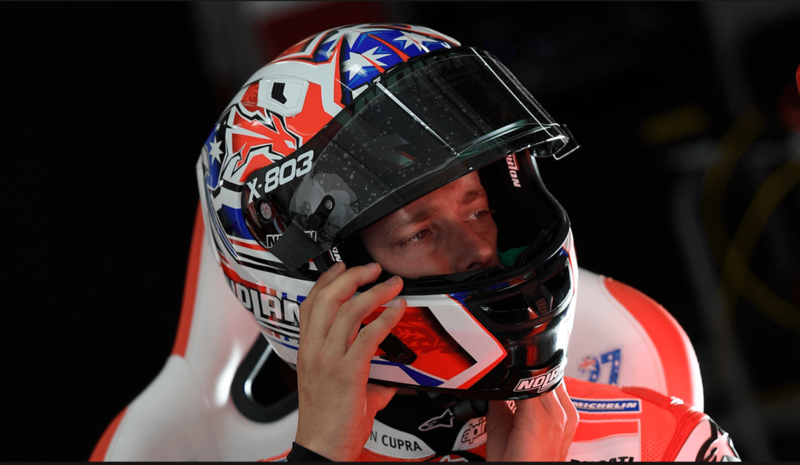 Previous press reports said that Dainese is of interest to Ardian, L-Catterton, Carlyle, and Permira. The company has sales of 184.7 million euros, an over 25 million ebitda. Transactions in the sector are worth in the region of 14xebitda, therefore Investcorp could fetch up to 500 million. Teamsystem, the Italian provider of software for business that belongs to private equity Hellman & Friedman, reached a turnover of 356.1 million euros with an ebitda of 139.8 million and net financial debt of 751,1 million or 5.4x ebitda (seee here a previous post by BeBeez). Teamsystem refinanced its debt with two Luxembourg-listed secured senior bonds last yeara, one of 550 million due to mature on 15 April 2023, and the other of 200 million that will mature on 15 April 2025. Both the liabilities pay an interest rate of 400bps over the 3 months Euribor and a 0% floor. Hellman&Friedman and minority investor HG Capital may fetch 1.4-1.8 billion from this sale. Fideuram Alternative Investments – Mercati Privati Globali (FAI), a fund for retail investors with a focus on private multi-assets (private equity, private debt, infrastructure, and real estate) that Fideuram, the wealth management arm of Intesa SanPaolo, launched, finally raised 530 million euros from 4,000 clients, after having reopening fundraising last February to accept new investments for as much as 150 million euros on top of its first closing at 384 million euros (see here a previous post by BeBeez). Kairos, the Italian asset manager that Swiss Private Banking firm Julius Bär is reportedly selling, is launching for the first time an Eltif (European Long Term Investment Fund), Amir Kuhdari, Head of Sales Asset Management, and fund managersRocco Bove and Massimo Trabattoni said (see here a previous post by BeBeez). This fund will be available for the retail clients that have to invest 30-50k euros, have a biannual Nav and a 6 years tenure. The fund may have an investment period of two additional years. The launch of the product by Fideuram and Kairos is simultaneous with the launch of similar products dedicated to private Italian customers by various other Italian and international asset managers (see here our Insight View for readers of BeBeez News Premium 12 mesi, find out here how to subscribe to BeBeez News Premium for just 20 euros per month ). Gianfilippo Cuneo, the chairman of the investment Commitee of pre-IPO investor Boutique Italia, and founder of private equity firm Synergo sgr, said that for a successful outcome it’s necessary to support capable entrepreneurs that share the same goal as the financial partners (see here a previous post by BeBeez). “Despite being a truism, it’s a fundamental matter”, said Cuneo. As BeBeez previously reported, Boutique Italia raised funds from Banca Patrimoni Sella and businessmen based in the North of Italy and aims to invest in minorities of Italian SMEs that operate in the traditional sectors of the Made in Italy. Roberto Gatti is the ceo of Boutique Italia that aims to exit its investments after three years through the launch of IPOs on Milan AIM. OreFin, a financial firm, and London merchant bank Method are some of the shareholders of Boutique Italia. Milan Spac Capital For Progress 2 (CFP2) may not go into liquidation if a sufficient number of shareholders vote for going on with business looking for a new target to buy, the Spac said (see here a previous post by BeBeez). CFP actually withdrew from its plans of business combination with ABK as a huge number of shareholders exercised their right to recede from their investment in the Spac, being against the proposed deal. Massimo Capuano, Antonio Perricone, Marco Fumagalli, Alessandra Bianchi, and Bruno Gattai launched CFP and raised 65 million euros. Antares Vision, a data manager for the pharma sector, will soon list on Milan Aim after a business combination with ALP.I, the Spac that Mediobanca launched with Stefano Giambelli, Roberto Marsella, Massimo Perona, and Stefano Rangone (see here a previous post by BeBeez). The company actually filed for pre-admission to the Italian Stock Exchange a few days ago. The Spac will invest 70 million euros for a 12% of Antares Vision has sales of 81.3 million, an ebitda of 20.7 million and net cash of 4.2 million and will invest the proceeds of this business combination in M&A. Consilium, an Italian mid-market private equity, acquired 80% of baked goods producer Dino Corsini from the eponymous family (see here a previous post by BeBeez). Vendors will keep a 15% of the business, while private investors will hold 5%.Unicredit provided the financing for the transaction. Dino Corsini has sales of 16 million euros. Tages Helios, the renewable energies arm of private equity Tages Capital, raised further 85 million euros in financing and offered its photovoltaic plants as collateral (see here a previous post by BeBeez). Tages has raised financing lines amounting to 537.5 million. Ashurst and Clifford Chance provided legal counsel to Tages and the lenders which are Banca Imi, Banco Bpm, Bayerische Landesbank Anstalt des öffentlichen Rechts, Bnp Paribas, and Société Générale. The list of previous lenders includes Banco Santander, MedioCredito Italiano, Mps, Société Générale, UBI Banca, UniCredit, and Intesa Sanpaolo. Even though the deadline for exclusivity talks expired, Carlyle is still frontrunning the race for acquiring Forgital, an Italian aerospace, oil & gas, and energy company in which the Spezzapria Family has a stake of 83% and Neuberger Berman 17% (see here a previous post by BeBeez). Domenico, Roberto, and Giorgio Spezzapria, the company’s owners are carrying on a dual track ipo. Forgital attracted also the interest of Alpha, Blackstone, and CVC and has sales of 419.4 million euros, with an ebitda of 82.7 million, and net financial debts of 108.8 million. Nexi placement of shares for qualified Italian investors and foreign institutional investors will end on 11 April and listing is expected from April 16 (see here a previous post by BeBeez). Nexi is a paytech company that belongs to private equity funds Advent International, Bain Capital, and Clessidra and Banco Bpm, Credito Valtellinese, and Banca Popolare di Sondrio and other banks. Roberto Cavalli may go in receivership (see here a previous post by BeBeez). Rothschild and the law firm Gattai Minoli Agostinelli are the advisors of the company’s owners Clessidra, L-GAM, and Chow Tai Fook Entreprises. Rotschild received expressions of interest from Otb, the holding of Italian fashion entrepreneur Renzo Rosso and Philipp Plein, the German fashion house of the eponymous designer that tabled a bid in partnership with London fund Blue Skye. However, rumours say that Philip Plein withdrew from the auction leaving Bluestar Alliance as the sole potential buyer for Cavalli with a bid of 100 million. Gruppo De Wave, a portfolio company of Xenon PE, acquired Gruppo Spencer, a company that projects public spaces on big cruising boats, from the Pompili family (see here a previous post by BeBeez). Riccardo Pompili will keep his role as ceo of Spencer. MPS Capital Services, Crédit Agricole Carispezia, and Banca Ifis provided the financing to the buyers. Spencer has sales in the region of 50 million euros. Pirola Corporate Finance acted as financial advisor. Bemycompany, the incubator that Antonio Quintino Chieffo founded, supported the management buyout of Meccanica Bpr, an aerospace company (see here a previous post by BeBeez). Francesco Agnesina, Ernesto Cardini and Federico Monacelli carried on the deal worth 2 million euros. Renato Brizio founded Meccanica Bpr in 1970. Chieffo said that the company may list in 2020. Wise Equity acquired the majority of lighthouse towers producer Trime (see here a previous post by BeBeez). Trime’s chairman is Andrea Fontanella, while Paolo Tacconi is the ceo. Trime has sales in the region of 50 million. Salini Impregilo acquired 63.5% of Cossi Costruzioni from troubled Italian contractor Condotte (see here a previous post by BeBeez). Banca Popolare di Sondrio and the Cossi Family will hold each 18.25% of the business. Cossi previousl belonged to Condotte (75.01%), Ferfina (4.99%), and Renato Rossi (20%). Partners and CMS Italia acted as financial and legal advisors for Cossi. White & Case assisted the lenders for the debt restructuring, law firm Russo De Rosa Associati assisted Banca Popolare di Sondrio. Lenders renounced to 24 million of credits that Cossi owed them. The company has sales of 134 million.